Registered cover to BERLIN franked on reverse with April 1923 ´Star´ surcharge on Russian Arms 10k. (10´000r.) deep blue (5 examples) and vertical strip of three imperforate 1r. (100´000r.) vermilion and brown all tied by BAKU date stamps in black. Berlin arrival cds (June 24) alongside. 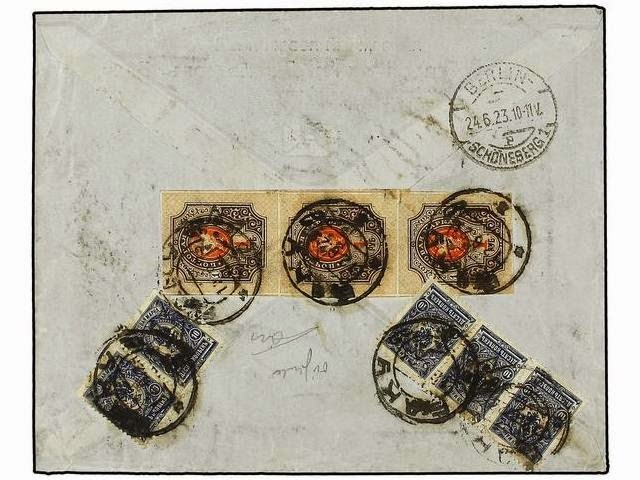 Registered cover to BERLIN franked on front and on reverse with May 1922 50´000 on 3´000r. 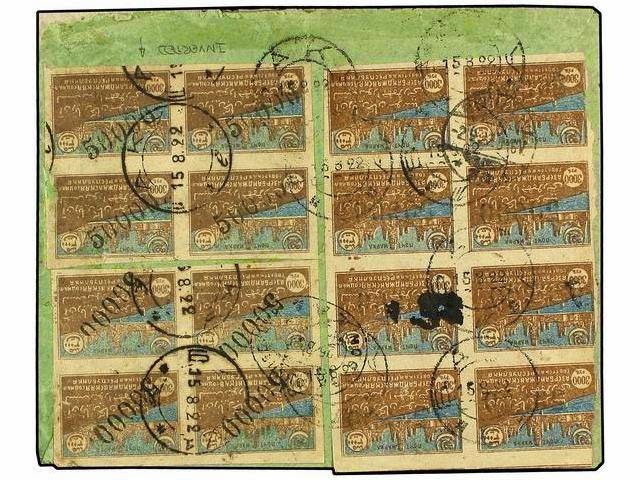 cinnamon & blue in two singles, two blocks of four (one with Surcharge Inverted variety) and a deep shade in a block of eight; all tied by BAKU date stamps in black.